The company which owns a care home where an Oxford teenager died after being bathed in scolding water will be sentenced today. It’s my impression there are people for whom “scalding” and “scolding” are homophones, both having (I think) /ɒ/. I think this is probably correct. There are certainly varieties of English English in which there is great confusion among back vowels before dark l.
It is well known that words like salt can have either ɔː or ɒ. 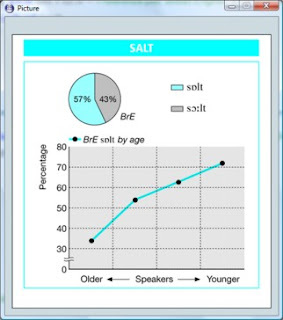 Although I have continued to prioritize ɔː in LPD I have to confess that the most recent poll I did on salt showed a sharp trend of change over time in the direction of ɒ. The youngest age group voted 71% for the LOT vowel. Only 34% of my own age group voted that way, which accounts for my bias in favour of THOUGHT in this and similar words (i.e. words in which the vowel is followed by l and a voiceless consonant — alter, false, fault, waltz etc.). In this position before l and a consonant some people also have ɒ where RP traditionally has GOAT (əʊ, including for some its positional variant ɒʊ). That is presumably how scold can come to be a homophone of scald for some. This can apply to the vowel before final l, too. One sometimes hears -ˈtɒl for traditional -ˈtəʊl (-ˈtɒʊl) in extol, and similarly in bolster. 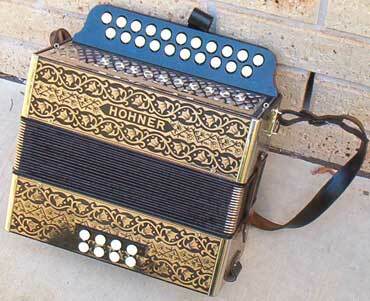 I play a musical instrument called a melodeon. One of the well-known designs of melodeon is Hohner’s poker-work design, with side panels imitating wood decorated by burning the motif in with a hot poker. On the melodeon website I have seen this called polka-work (and even polkerwork). I wonder if anyone really has polka and poker as homophones, as this seems to suggest. For me they’re ˈpɒlkə and ˈpəʊkə respectively. I think there may be a different explanation: contamination from the spelling of folk fəʊk, plus of course the fact that the melodeon is a very suitable folk instrument for playing polkas on. Does that confusion then explain the origin of what, in Canada, at least, we refer to as "polka dots"? I always found it odd to associate them with the dance. Are they really "poker dots"? I can't detect any difference in my pronunciation of "scold" and "scald", but I identify the merged vowel with GOAT, not LOT (so my reaction to the question about "salt" when I first saw it was confusion). The distinction is robust before intervocalic /l/ (e.g. "holly"/"holy") and the vowel in "salt" etc. feels like the one in "holy". I have no intuition for whether words like "extol" are "meant" to have LOT or GOAT, and would have to check a dictionary. Indeed, the only word I can think of where I have /ɒ/ before an /l/ that's either word-final or before a consonant is "volume", which I presume is because /l/ before /j/ isn't dark. On the second point, don't some people have /l/ in "both" (leading to the spelling "bolth")? I'm 17, John, and I have always said /sɔːlt/, but I have also always said /skɒld/ despite saying /bɔːld/ for . If it helps, I spent my first ten years in Cannock, Staffordshire, and have spent the last seven years in Rutland, East Midlands. I'm also influenced by my father's Black Country accent and my mother's Birmingham one. Sheikh: The OED treats polka dot (first citation 1857) as a straightforward compound of polka. The polka was very popular in the second quarter of the nineteenth century. /ˈpəʊlkə/ … is the usual pronunciation given in 19th-cent. British dictionaries. The first edition of D. Jones Eng. Pronouncing Dict. (1917) gives this as an alternative to the pronunciation with o as in doll, which became the more usual British pronunciation in the 20th cent. What about the way we sing 'polka' and 'poker'? I strongly suspect that I for one would neutralise the distinction. In two songs that i can think of, 'polka' is given an un-speechlike rhythm: both syllables equally accented and the second syllable at least as long as, if not longer than the first. I seem to remember the same effect in Edith Sitwell's performance of her own See me dance the polka. "Scold" is not a very common word. How do dictionaries determine the precise pronunciation of words like this, which are not said very often? It's not as if BBC presenters use the word much. I was immediately reminded of singing the Grossmith version (You should see me dance the polka) with ˈpəʊlkə aged about 8. I hadn't seen your post, David. We just seem to have independently had a similar reaction to John's post. I don't remember ever saying anything but ˈpɒlkə in speech, but AmE ˈpoʊ(l)kə presumably came from a common ancestor with ˈpəʊlkə. I first noticed that Oxford children were unaware of any difference between 'bold' and 'bald' over 30 years ago. It seemed to postdate alcohole, cholesterole etc. But it doesn't seem to have overtaken moult~malt yet. Or? It must surely be pretty well established at least. I am nowhere on that slippery slope, John. Shoulder to shoulder with you on salt! I also remember hearing skɒld for scald and thinking it anomalous. I took it to be a northernism, but I suppose I had not latched on to the different behaviour of voiced consonants. I not only have all the l words with THOUGHT, I also wax wroth at the decline in rɔːθ. I guess you also hold to that with your ecclesiastical background. Another word that may change when sung is extol. Whoever set word to Elgar's tune felt there was a sort of near rhyme between glory and extol thee. In a standard Canadian accent, there is no chance of homophones here. No [l] in either, but rhoticity is the distinguishing factor. One may hear the occasional speaker slip [l] in polka, but it sounds affected in this accent. I bet she's made a conscious decision to sing it "correctly." I would assume that polka and poker would be homophones in any non-rhotic AmE variety. Certainly in my firmly rhotic AmE, polkas and (hocus-)pocus are homophonous. Did you mean to say she had a "clear [l]" as in "a perfectly audible [l]" or as in "a non-velarized [l]"? Indeed, the only word I can think of where I have /ɒ/ before an /l/ that's either word-final or before a consonant is "volume". What do you have in "golf", "dolphin", and "solve"? I also wax wroth at the decline in rɔːθ. I guess you also hold to that with your ecclesiastical background. I've never heard that (I presume you are talking about the word "wrath", which I have with the LOT vowel). Is it an example of U-RP CLOTH-broadening, as in /ɔːf/ ? @vp: What do you have in "golf", "dolphin", and "solve"? Same as in the other words mentioned, i.e. GOAT (or at least, that's how I perceive things). I've just remembered that my father used to say əmɔ:lfi — perhaps even əmɔ:wfi — even though he'd been stationed near the place in the War, and heard what the Italians call it. the word "wrath", which I have with the LOT vowel). Is it an example of U-RP CLOTH-broadening, as in /ɔːf/ ? The LOT vowel is not int the least wrathful! Since you're a northerner you're forgiven, but If I can't have rɔːθ I will settle for ræːθ. I suppose rɔːθ is an example of U-RP CLOTH-broadening, as in /ɔːf/, but I think it's more widespread, I guess because of the ecclesiastical (scil. parsonical) connotations. I do have some other remnants of CLOTH-broadening though. "Scold" is not a very common word. I don't think it's particularly uncommon, but I do see things like "you'll get a scalding from your parents", which may be evidence of a misinterpretation arising from the relative uncommonness of scold, which of course becomes the more uncommon the more it is misinterpeted. And the misinterpretation is plausibly folk-etymological, or at any rate folk-figurative. It is also evidence that the merger is not exclusively interpreted as o in illiterate orthography, as it is in Harry's newspaper report. But I think it overwhelmingly is, because I think even before it went to ɒʊl or ɒʊw, ɔʊl/ɔʊʍ/ɔːw etc were probably being interpreted as o. At the risk of being "unforgiven", I've never been called a Northerner before (Well, I'm in the Northern hemisphere, but I'd move to [ˈχiu] in a heartbeat!). And my trusty LPD (1st ed) does give /rɒθ/ as first choice. Sorry, I see it was JHJ who said he was a Northerner. Don't try to hard with the more exotic versions of ˈχiu when you get there, and cough your heart up while itʲs still beating. LPD (3rd ed) also gives /rɒθ/ as first choice, but it still has rɔːθ. while itʲs still beating. was with the phonetics keyboard still on. I meant 'it's', not that I have another weird affricate! I'm surprised that no one has made reference to a bit of dialogue in Martin Amis's The Information between the main character and his young son. "Daddy, are you bold?" "I like to think so." "Will you always be bold?" Daddy begins a pompous reply, but after another exchange of words figures out that his son means "bald." Hilarious. All Martin Amis and observational phonetics too! I have the LOT vowel in "extol". However "toll" (as in road toll) has ɒʊ (I split GOAT-GOAL). The extra l makes the difference. I think the point made by an anonymous commenter above applies much more to the word "extol". It's too rare a word for any generalisations to be made. a clearly audible [l] is what I mean, of course. Extol is not a rare word for anyone accustomed to singing hymns (eg everyone who was a schoolchild in Britain up to about 1980). It is meet, right, and our bounden duty to extol the virtues of hymn-singing. But also to point out that "to extol the virtues of" is not only not rare, but a cliché. OED1 has eksˈtɒl only (same vowel in the first syllable for enˈroʊl, by the way). Herbert seems to rhyme them in 1633, or might he allow for an impure rhyme? Well researched! One really does have to do one's homework, doesn't one? I can confirm several earlier eds of OED and its chums only have ɛksˈtɒl or its equivalent as to the northernism for ex- (this flash of inspiration seems to have ousted earlier pronunciations of a gamut of words marked in earlier eds as ɪks). But the online 1989 one has ɛkˈstɒl, ɛkˈstəʊl. God knows what they think they're doing with this ɛ. (Nah, even God cannot fathom the mysteries of the OED.) But it looks like an impure rhyme for Herbert, and a pronunciation getting established which I suppose we should call a singing-pronunciation rather than a spelling-pronunciation! And of course this would be because it does occur mostly in song. So this is quite a good bit of vindication for both David and Ed. One really does have to do one's homework, doesn't one? I know, but looking up fun stuff in 10-pound dictionaries is more interesting sometimes. I know that ė, but they used the regular e for extol and enrol(l). Seriously, is the KIT vowel realised the same way in today's RP/EE as back then, or is it closer today? Singing to extol thee in the hymn is very different from singing extol thee in Land of Hope and Glory. In the former, the syllable to is extremely long. the syllable to and ex are half as long, but still pretty long. The three together constitute a strongly accented musical phrase. Reading the lines as poetry admits an unstressed ɪks. But you have to sing ɛks. In the latter, the syllable ex is on a short up beat before a heavy downbeat on tol. You can sing ɛks if you like but ɪks is perfectly natural. In either case, the vowel of tol is drawn towards (near-)rhyme with enroll or glory. they used the regular e for extol and enrol(l). It seems I didn't convince you that I realized that, but I hope I made clear that as of 1989 they are sticking with ɛ, and that I think that highly eccentric of them! is the KIT vowel realised the same way in today's RP/EE as back then, or is it closer today? Well it is by me and it is not for me, but it is for most, if I may be impressionistic. Haven't a clue what you mean. :-) One problem may be that even if I could decode the 'by' and 'for' thing, I still shouldn't know what part of the alternative question it referred to. It's a substitution test. Is x y'd [by i…n] in z, or is x p'er [for iʹ…nʹ?]? I supposed so. So have I passed the substitution test? Anyway - in other words, you agree that the difference between [KIT]xtol and [DRESS]xtol might have been theoretical for an OED1 editor, and the decision which to take for the phonetic transliteration arbitrary? For what it's worth, I can confirm that in this still-popular hymn in The Anglican Church of Canada (sung to Gwalchmal), "extol" rhymes with "enro"l [-roʊl]. Incidentally, in the same verse, this tune sets "seven" and heaven" each as one syllable on one note. This ties in to your post on Nov. 27/09. I can hardly believe it could have been purely theoretical for an OED1 editor (if that's what you mean), and I think the decision which to take for the phonetic transliteration was too arbitrary arbitrary by half. I understand the breve thing better than the first paragraph. Yearse. I am a great believer in the arbitraire du signe, but that para seems to have got more arbitrary than I intended. I suppose there are variations on that theme though: arbitrary arbit, or arbitrary rary. @mallamb: I do have some other remnants of CLOTH-broadening though. Just out of curiosity, in which words? "Off"? Sporadically yes, I'm afraid. More robust are 'often' (no t), 'soft' (of volume), dishcloth, but not the substance cloth, or even a cloth, come to think of it. I could go on, but idiolects are just too irreducibly unsystematic, as I believe DJ said somewhere. That makes CLOTH itself a bit problematic, doesn't it? I'm a bit late into this conversation, but my time has been a bit limited. Here in the US (in Michigan specifically), this same type of misuse of words because they have become a homophone is occuring with the words "than" and "then." This has occurred to the point that a student of mine, upon pointing this out in their class the other day, stated "What's this 'than'? I've never heard of this word." This seems to come about because the upper Midwest/Rust belt accent shifts the [æ] to [ɛ̧] (pretend that diacritic is below the phone). Has this type of shift been noted elsewhere? I wonder whether anyone has "scald" and schooled as homophones? I frequently hear an open and relatively unrounded allophone of the GOOSE vowel, approaching the quality of THOUGHT, in words like "school" where it is followed by nonprevocalic L.
Yes, vp, I have the impression that that homophony is practically compulsory in some forms of Estuarine! A single but significant word was mistyped in a story headlined UK complained to US about terror suspect torture, says ex-MI5 leader (10 March, page 2). Eliza Manningham-Buller was quoted as saying: "After the next terrorist attack, there will be cause for fresh legislation, which should be resisted. The criminal law as it stands is enough." "Cause" should have been "calls". JW -- if you're reading this -- in what accents would we expect to see this potential homophony? I would guess southern English, and southern and black US. I'd be surprised to hear it in other US/Canadian accents. They'd have to have a diphthong for the THOUGHT vowel or an entirely dropped l/w at least after the same. Lipman, an entirely dropped l/w is not likely (it seems unlikely enough that the E M-Bs of this world would be L-vocalizers in the first place), but rather than a diphthong for the THOUGHT vowel I would call it a w off-glide. I'm not sure how much further afield than Cockney you get these w and j off-glides though. The reporter may have an off-glide there or be so used to hearing one that he was this uncritical of his identification of this word. JW has written of the fully functioning opposition between pause and paws in Cockney (or perhaps he identified it as pan-Estuarian). Taking into account this morphophonological factor, the wonder is that the reporter didn't at least hear it as "caws" for fresh legislation! But if E M-B is an RP speaker, her "calls" might have sounded too short to the reporter to be anything but "cause". Either way the "mistyped" of vp's quote is a bit of a misnomer isn't it? More like misheard, misunderstood, misthought, and misreported. I heard something like [tɔʊk] for "talk" yesterday, from someone with a London accent. The offglide actually sounded very much to me like a vocalised /l/; it did occur to me that it could even have been a spelling pronunciation, but there were similar sounds in other THOUGHT/NORTH/FORCE words. I doubt he distinguishes "calls" and "cause". The other side of the THOUGHT/NORTH/FORCE split, the morpheme-final one, can sound to my ears very much like my unmerged FORCE diphthong. @mallamb: JW has written of the fully functioning opposition between pause and paws in Cockney (or perhaps he identified it as pan-Estuarian). I believe you're referring to what JW calls the "BORED-BOARD" split. It's found beyond Cockney and even EE, since I grew up with it in my dialect and I definitely don't have any other EE or Cockney features. Words with THOUGHT/NORTH/FORCE morpheme-final in an open syllable go with BORED: the others go with BORED. The phonetic difference for me is/was greater pharyngealization and backness (and greater incomprehensibility, especially to Americans) in the BOARD allophone, while there was slight lip protrusion in the BORED allophone. However, I don't think this split is applicable to CAUSE/CALLS. Both "cause" and "calls" go with BOARD because both CAUSE and CALL end in a closed syllable. BTW, I wouldn't bet on any RP-like speaker lacking L-vocalization these days. Even Derek Jacobi, who narrates In the Night Garden (which my baby daughter watches on imported DVDs) in a rather arch RP manner (e.g. alevolar taps for /r/ following a stressed syllable), vocalizes the /l/s in "Igglepiggle". Yes, both CAUSE and CALL do end in a closed syllable, but what about the plural morpheme? If "call" is L-vocalized then it isn't really a closed syllable, is it? Coming before the –z, the L vocalization could be indistinguishable from the w off-glide we have been talking about, but I meant to suggest that the determining factor in these oppositions which correlate with a morpheme boundary may be the relative length, and that within EE, rather than in any overall system within which the misperception of "calls" as "cause" could arise, "calls" may still be distinct from "cause" by virtue of greater length, as I think "paws" is from "pause", irrespective of the ɔə~ ɔː/oː opposition. JW does mention this opposition between pause and paws in connection with the "BORED-BOARD" split. So when you say that you grew up with the "BORED-BOARD" split in your dialect and definitely don't have any other EE or Cockney features, do you perhaps mean that you have that split, but don’t distinguish pause and paws? If so, has it got anything to do with ɔə surviving in "bore" and final ɔː surviving in "paw"? If you have ɔə in BORED for that or any other reason, the slight lip protrusion might be dissimilation from the following schwa, which of course Americans are used to interpreting as /r/, but I can't really see that bɔːd for BOARD would make for that great a difference in its incomprehensibility to Americans. On the other hand if by any chance you have the w off-glide in BOARD I should think that might well make it more incomprehensible to Americans. And if by slight lip protrusion in BORED you mean that you have the off-glide in that, as well as or instead of in BOARD, I would be struggling to understand that, but I would guess the difference might be a correlation of length. Your use of the word "allophone" for this difference rather suggests that you mean a morphologically determined allophony. The difference between pause and paws on the other hand is clearly a phonological opposition for JW, but is associated with the morphophonological factor I mentioned when I first attempted to draw an analogy with cause and calls, namely the presence or absence of a morpheme boundary. So I was in fact saying that even L-vocalizers who have this w off-glide to start with would probably make a distinction between "calls" and "cause", and which of the two they perceive would depend on the overall length, however distributed. And if I had indeed been betting on any RP-like speaker lacking L-vocalization I wouldn’t have said '"calls" might have sounded too short to the reporter to be anything but "cause".' Because I meant that that does presuppose at least some degree of vocalization. I didn't think we could blame it all on the reporter. And I don't think I am peculiar in being an RP speaker for whom these morpheme boundaries are phonologically and realizationally irrelevant, and for whom "cause" and "calls" are of equal length, just as "pause" and "paws, and "board" and bored" are. So I meant that if E M-B did vocalize the l of "calls" it would have only been distinct from "cause" by virtue of the resulting w, which an EE speaker would have in "cause" as well, so that if he failed to allow for that RP distinction and in addition failed to allow for the RP lack of any length distinction, he might well have perceived "calls" as being too short to be anything but "cause". PS I agree with your observation about Derek Jacobi. He has always struck me as an arch L-vocalizer! At his age he should know better! I couldn't think of an example of an opposition corresponding to presence v absence of a morpheme boundary with a potentially L-vocalized –lz in both the terms of the opposition, but is it too contrived to say that since "balls" can be a verb and contract a /d/ as in BORED, it seems to be able to be reanalyzed in "ballsed", and with L vocalization this may yield an opposition in EE parallel to my hypothesized cause~calls for balls (v) vs balls (n pl)? What I do think happens with L vocalization in EE is a BALD-BALLED split parallel to BOARD-BORED, so it doesn’t seem like a great stretch of the imagination. My goodness -- I do apologize for prompting so much speculation on your part because of the ambiguity/inaccuracy of my original post! For the record, my native accent is/was systemically (and mostly phonetically) identical to RP, with the addition of the BOARD/BORED and HOLY/WHOLLY splits. I did distinguish between "paws" and "pause": "paws" would go with BORED and "pause" with BOARD (I am using the past tense here because my accent has changed a bit as a result of Californication). the pharyngealization/backing. My BOARD phoneme proved especially hard for many people, especially Americans, to understand because of the backing and pharyngealization, not for any other reason (I have memories of trying repeatedly to say the word "Cornwall" without my interlocutors bursting into laughter). My THOUGHT/NORTH/FORCE words were completely merged (no remnants of the NORTH/FORCE distinction), except for the BOARD/BORED split. I was assuming in my original post that L-vocalization would not affect the distribution of the BOARD/BORED split: in other words that "call" would still go with BOARD even if the /l/ were no longer realized as a consonant. On reading your reply I realize that I should not have made that assumption. Do you (or does anyone still reading this thread) know for a fact whether speakers with both the BOARD/BORED split and L-vocalization would put CALLS into the BORED set? I can't tell from your post whether you actually have data on this point or are speculating like me :) Anyway, thanks for the very interesting response! seems relevant to this point. I would assume that calls would behave like Paul's (which he says may be homophonous with pause), and so would be in the BOARD set. This would suggest that with full L-vocalisation ball and bore would also be a minimal pair for the split. Your goodness indeed, to respond so conscientiously to so much speculation! My commiserations about the Californication. Has it obliterated all hope for an introspection about whether before its onslaught you had the length distinction I hypothesize? In addition of course to the quality distinction you so graphically describe, which clearly isn’t the one I referred to of ɔə in paw-pour-pore and bored and ɔː in pause, thought, board, and in fact seems to be the opposite of JW's other suggestion of ɔː for paw-pour-pore and bored and oː for pause, thought, board. And the reaction you report from your interlocutors gives me a mental picture of you practically choking on this ɔː in "Cornwall". I take it you were using the pronunciation ˈkɔːnˌwɔːl (which I am surprised to see is the only one in LPD – Collins has ˈkɔːnwəl as well, and that's what I think I usually say). Was it as life-threatening as it appears to be for some Australians to say something like [ɫɯɪ] even for something as innocent-looking as "Lee"? It's so-o-o difficult to answer that. I suspect most such speakers wouldn't, because it would be counterintuitive for them. But it's not a phonologist's job to speculate about introspections. We need to know whether there is any realistic potential for a functional opposition. I think there is, and that is why I talked about a BALD-BALLED split parallel to BOARD-BORED. Having hypothesized that, we need to see whether or not the data refute it, and as you suspect, I haven’t got any! But I have the observations and intuitions of a lifetime, and I don't think the data (preferably experimental data from a native EE expert, rather than his intuitions) would refute it. But I always stress that I'm talking about the upper level of distinctive realization, which is functionalist jargon for a realistic potential for a functional opposition. If speakers have a w off-glide in BOARD and/or BORED, I can't see how an opposition between them and BALD-BALLED would be anything but unstable. Which is presumably what led to the "mistyping" we are discussing. Thanks for the link. I had read that, and have been alluding to it as well as to Accents of English, I confess without checking it, but on reading it again I think we should all take note of the hypothetical nature of JW's statements about homophony between pause and Paul's. Descriptive hypotheses that remain unrefuted are the best that can be achieved in DL, and although he doesn't explicitly operate hypothetico-deductively but rather in terms of the practicalities of description, that makes the points of agreement between the two modus operandi all the more interesting. So "may be homophonous with pause" is not an explicit hypothesis, for which we could adduce data which might refute it, but a set-theoretical type of statement about the contingent homophony of realizational variants. And so were my remarks to vp about this state of affairs in phonology. Neither you nor vp seem to have picked up on the length distinction which I suspect has the potential for maintaing the opposition between pause and Paul's and the other possible minimal pairs we have been discussing. I always write too allusively, though I try to correct ambiguities in the occasional marathon epistle, as to vp above, and what I meant by "ɔʊl/ɔʊw/ɔːw going to ɒʊl or ɒʊw" was that once you get this w off-glide and/or L vocalization in bald etc. and the ɒʊ allophone in bold, the minimal pair is not long for this world. But I actually think there may well be more life in BALD-BALLED and BOLD-BOWLED than in BALD-BOLD. And that just as EE has what you could call a ə off-glide in paw which is also present in paws, keeping it distinct from pause (with or without w off-glide), so the greater tension and length of the ʊ or w in call which is also present in calls, keeping it distinct from cause (even with w off-glide), is also present in BALLED and BOWLED, keeping them distinct from BALD and BOLD (whether with ɔo/ɒo or ɔʊ/ɒʊ or even ɔw/ɒw). But of course the greater tension and length may be at least partly in the nuclear vowels as well, which is why above I talked about "the overall length, however distributed". Yes of course they would. Though JW doesn’t plump for bɔə for bore in the paper you link to, because ɔː may do for that, provided that board is distinguished some other way, I don't think anyone disputes that it won't do for ball, however fully L-vocalized! David Crosbie's rhyme is exactly what I say, and I think it rhymes perfectly in any variety of AmE, since the THOUGHT-PALM merger characteristic of points west (and young) of me is perfectly smooth (induces no restructuring). Before this I had never given thought to this, may be if I pay a little more attention i might find very interesting things like this.